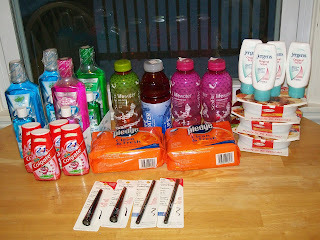 Frugal & Fabulous: The last rounds of KMART!!!! The last rounds of KMART!!!! 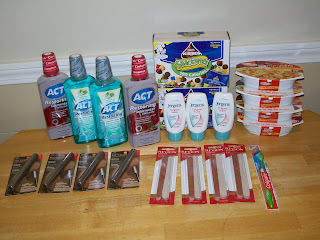 I just couldn't keep away from Kmart this week! :) If you read my previous post about my missing makeup - then I'm pleased to let you know that they credited me for the four eyeliners that didn't make it in the bag: (i.e. $16.59!!!) I'd like to ask - do you think this should be added to my hba/grocert budget for the month? Did they give you a cash refund? Or a store credit? If they gave a cash refund I'd add it to your available money to spend. If it was a store credit or a money card I'd treat it like a giftcard and not add it. I am so impressed. I think we are finally getting doubles at our Kmart. Thanks for the tips. Laurie, they gave me cash! PS: you and I must discuss.